EVE, World of Warcraft, Runescape. These are names known Massive Multiplayer Online (MMO) that have stood out to the world. Final Fantasy XIV Online, however, is a title that some but not as many have heard about. What is known is how bad it was at release. The content felt lacking and gameplay was either difficult or tedious to use. Some players stayed, but many dropped the game after the launch. But thanks to the efforts of new director Yoshida Naoki, FFXIV was given a new life in A Realm Reborn, which has flourished over the past several years. There are many elements and much to be loved from the gameplay, but I shall give my top 10 reasons why I fell in love with Final Fantasy XIV. This has to be first on the list for me for one reason. It’s an amazing storyline! I won’t go into spoilers, but there is a lot of content to be had. 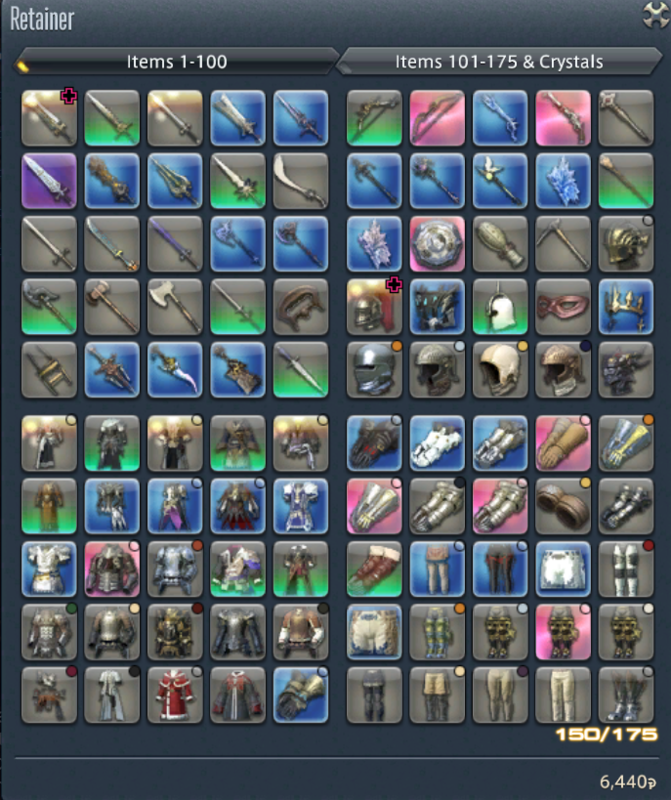 There are 2,280 quests in FFXIV, 484 of which are the main storyline. 858 quests are regular side quests and 456 are class/job quests. In addition, there are 482 quests for raids, trials, dungeons, the beast tribes, and various others. Most quests are easy to find since they center around the main story quests, but others are scattered around the maps for players to travel to and find, usually with a good reward. There are a plethora of class choices available in FFXIV. There are nine combat (three more with the Heavensward content), eight crafting, and three gathering classes after achieving level ten and completing a the main story quest to travel around Eorzea’s city states. In each city, there are guilds for each respective class. Once the player “decides” to join the guild, acquiring the class and the main equipment for it will be complete and that class can be used. The design for Eorzea’s lands takes the Warrior of Light through several different kinds of environments. In Thanalan, traverse through scorching deserts and discover beautiful oases of Ul’dah. Or visit La Noscea with its beaches and vibrant cliffside. The open expanse of ocean surrounding island nations gives a tropical vibe to the land and city state of Limsa Lominsa. Through the forests players shall go while traveling through the tree filled lands of the Shrouds with the city state of Gridania. So much to love in the world map! 4. All the Control Choices! With the game being on two different systems, PS4 and PC, there are some consistent choices as to what controllers the player can use. On the PS4, players can either use their controllers or they can opt to use a keyboard and mouse. With PC, there are more options available, such as keyboard and mouse, gamepad, Xbox controller, and PS4 controller. This is big for me since I play both Keyboard and mouse and with a controller, depending on what I’m working on in the game. 5. Look At All The People! PS4 and PC have large numbers of users, but combining them for one game? This makes an amazing experience. There isn’t any reason not to share gameplay space, since all content is available to both systems. Final Fantasy XIV has a cross platform experience that is exhilarating. The number of players continues to increase, so every time you log in there are even more players to create new friendships and memories with. Are you a collector of weapons, armors, and more? Same here! There are several different mounts, ranging from monsters to Moogles of both land and air varieties (add sea once Stormblood is released). Also, players can collect little “minions” that follow them around as a cosmetic addition to characters. Minions can also be used in a game at the Gold Saucer to compete against other players. They even get their own stats! Mounts and minions not interesting? 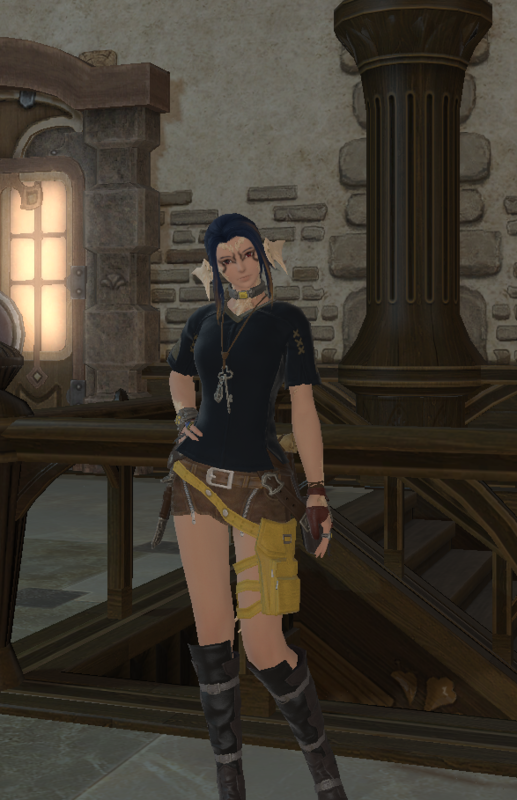 Once the Gold Saucer is discovered, collecting cards and playing in the infamous Triple Triad is a hop skip and, maybe, a jump away. 7. So… You’re A Walking Bank. This is one that I really love! The Retainers are essentially player banks. Instead of it being a building with a bank teller, the player, while paying for their subscription, gets to make two Retainers for assistance. 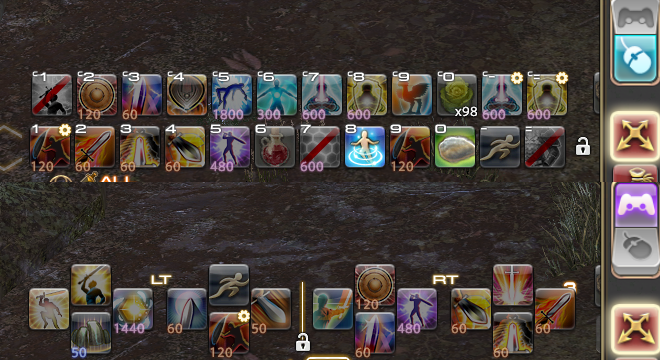 Not only does this mean a storage capacity total of 350 slots, but after a sidequest, Retainers can be leveled in a class that the player has acquired and can be given weapons and armor to have a better chance of completion. Combat classes bring back animal and monster drops, and gathering classes replenish their respective resource. This title is a term used by end game players. Once you complete the story and max out a class level, you can create your own outfits for your classes. The process is called “glamour” and it allows the player to take an equipped armor or weapon and customize the appearance. The equipped armor stays equipped, but it can be changed to look like an older armor or even a cosmetic armor that is from an event. Glamor to your heart’s content by completing quests and getting prisms for the armor or weapon of choice. Of course, it wouldn’t be a Final Fantasy title without Chocobos. Guess what? EVERYONE gets a Chocobo! Best of all, it fights, it heals, and the color of its feathers can be changed! Barding items let you customize the head, body, and foot patterns. Make your Chocobo a behemoth or a butler! These feathered friends are the same level of the class currently used, but they gain their own experience to be used to gain abilities to become more useful in combat. There’s already a lot to do in this world, but there’s a lot more available I haven’t covered in this list! The Challenge Log gives a list of activities to complete for additional rewards for the player, which includes Gil and experience. Hunting Logs contain a list of monsters to be defeated for each class to gain additional experience upon completion of requirements. The Fishing, Gathering, and Crafting Logs keep track of all the fish caught, materials gathered, and items crafted, also giving experience on the first caught, gather, and craft of that material. There is so much to experience in Final Fantasy XIV that did not make the list. If you want to give it a try, the trial period has been extended to unlimited! Your level is capped out at 35, but that gets through the classes and into a job (they are a lot of fun!). There is a link below to the Square Enix – Final Fantasy XIV Free Trial breakdown for those interest. Thank you for reading and hope to see you in Eorzea!